#1 New York Times bestselling author Christine Feehan takes readers into the hot zone in this pulse-pounding GhostWalker novel. 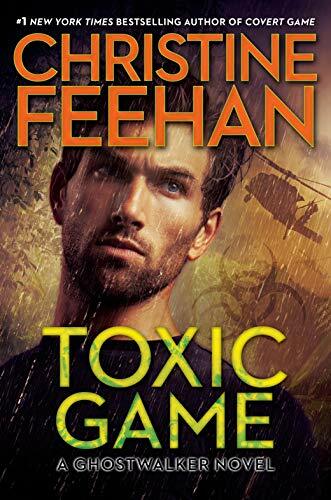 On a rescue mission in the heart of the Indonesian jungle, Dr. Draden Freeman and his GhostWalker team need to extract the wounded as quickly as possible—or risk spreading a deadly virus unleashed by a terrorist cell. When Draden gets infected, he forces his team to leave him behind. He won’t risk exposing anyone else. He intends to find the ones responsible and go out in a blaze of glory.... Shylah Cosmos’s mission is to track the virus and remain unseen. Her enhanced senses tell her that the gorgeous man eradicating the terrorists one by one is a GhostWalker—and his lethal precision takes her breath away. When he’s hit by a lucky shot, she can’t stop herself from stepping in, not knowing that by saving his life she’s exposed herself to the virus. There’s no telling how much time Draden and Shylah have left. Racing to find a cure, they quickly realize that they’ve found their perfect partner just in time to lose everything. But even as the virus threatens to consume their bodies, they’ve never felt more alive.